(POWASSAN, ONT.) 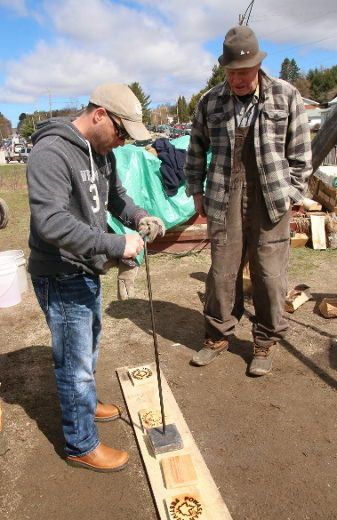 – Last weekend, the Powassan Maple Syrup Festival hosted festivities for the 20th year in a row. While serving happy festival-goers, the event’s organizers wanted to find a way to memorialize the anniversary year with a lasting impression. They turned to Canadore College’s Innovation Centre for Advanced Manufacturing (ICAMP) and North Bay Machining Centre Inc. to create a branding iron. 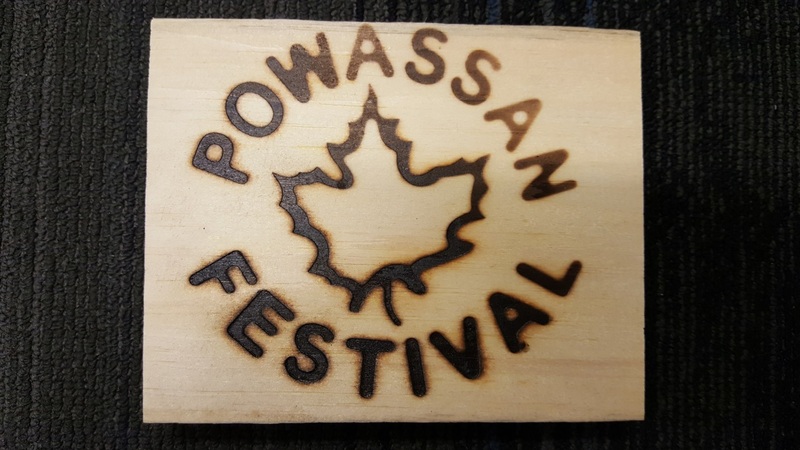 Ottawa’s Kettle Boys were on-hand boiling sap in old cast iron pots reminiscent of older times, and the irons were placed on the fire to brand “Powassan Maple Festival” pieces of wood. 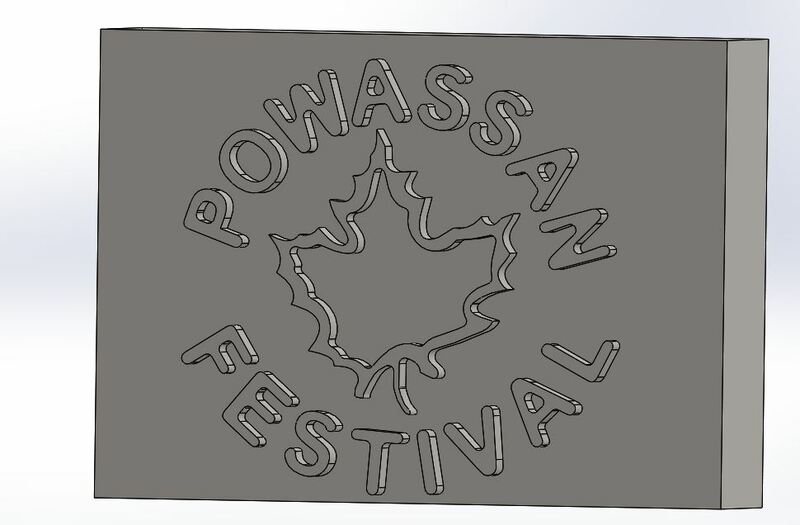 Patrons could make a donation to the Powassan Food Bank in-lieu of payment for the branded wood. The festival raised over $230 for this worthy cause.